Included was the following video, showcasing a finished Militia Ogre Titan. Read on to check out the press release as well as box art for all of the sets. K’Nex has sent out a press release. 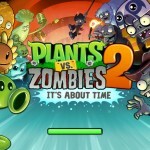 They have announced that they are going to produce sets based on the Plants vs Zombies games. Check out the press release by reading on.